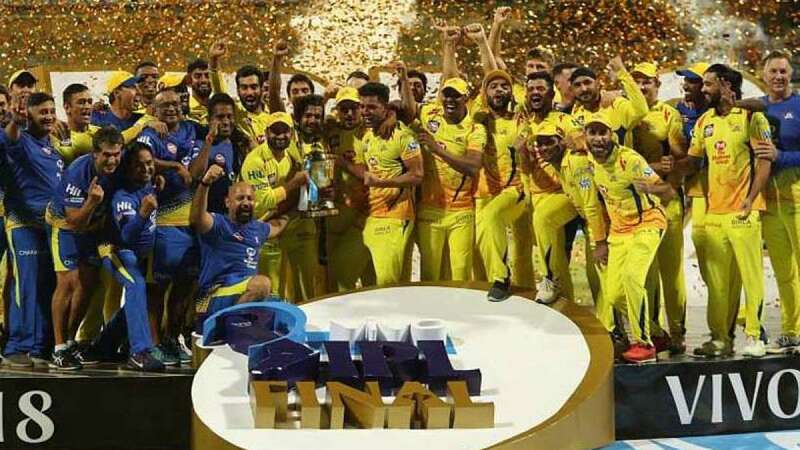 Mumbai : Bollywood celebrities like Anil Kapoor and Ranveer Singh have congratulated Chennai Super Kings (CSK) for winning Indian Premier League (IPL) 2018. The team has lifted the title for the third time. CSK beat Sunrisers Hyderabad (SRH) by eight wickets in the final at the Wankhede Stadium on Sunday. CSK had previously won in 2010 and 2011. Chennai piled up 181/2 in 18.3 overs against Sunrisers' 178/6 in 20 overs. Anil Kapoor: Seven time finalists and third time winners. Chennai Super Kings truly deserves to be awarded for being the champions that they are! What an exciting finish to the series! Ranveer Singh: Chen-nai Chen-nai Su-per Kings! Yellow army rejoice! Congratulations! Whistle podu. Abhishek Bachchan: Looks like it's Chennai's year in sports. First namma Chennaiyin Football Club in the India Super League and now Chennai Super Kings in the IPL. Many congratulations to CSK. Great win! Champions. Sophie Choudry: Woohoo! That's what you call back with a bang! You guys were missed CSK! What a team, what a season and what a finale! Shane Watson you Slayer! Congrats SRH on a superb tournament but time for Whistle podu.